Who is Saint Francis of Assisi? 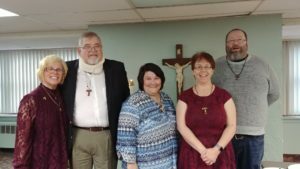 Pictured here are Stephanie Russo, OFS, Formation Director, newly professed John Maynes, OFS, newly professed Lisa Bechtel, OFS, Amanda Jamnicky, OFS, Minister and newly professed Jeremy Cherelli, OFS. Please keep Mike Stanek in your prayers. Mike was scheduled to be professed also, but was hospitalized last night. Reflections from Fr. Francis Sariego, OFM Cap. 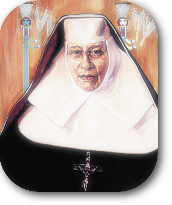 St. Katharine Drexel Icon by Lewis Williams, SFO courtesy of Trinity Stores.